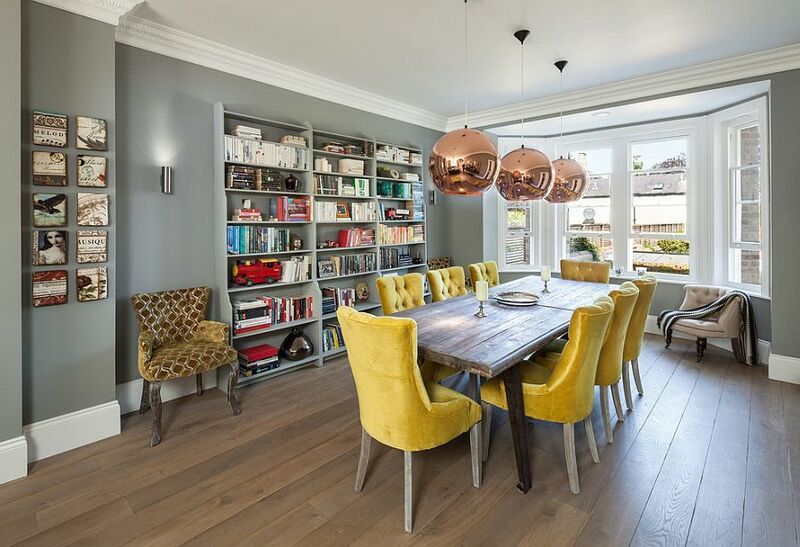 The trend of pairing bright hues with the neutral magic of gray has continued throughout 2015 and is expected to remain on the top of the trends chart in 2016 as well. 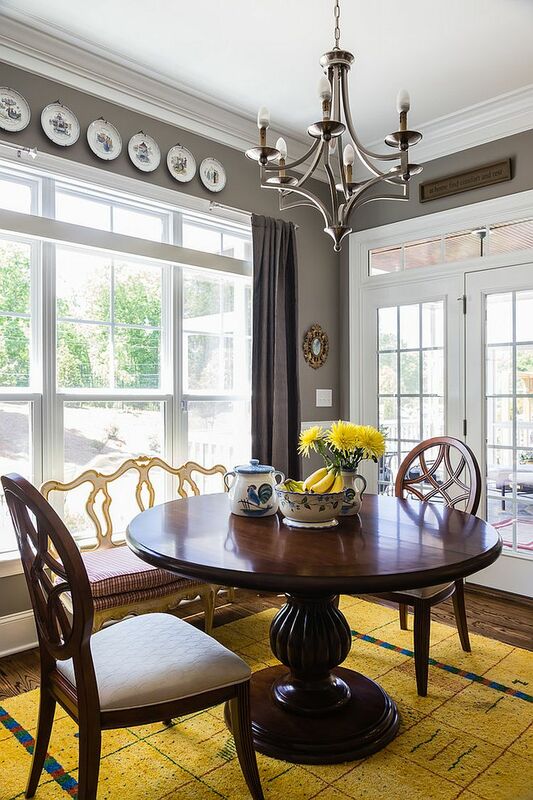 While there are plenty of bold hues that can be easily combined with gray, yellow has emerged as the absolute favorite among homeowners in the past few seasons. 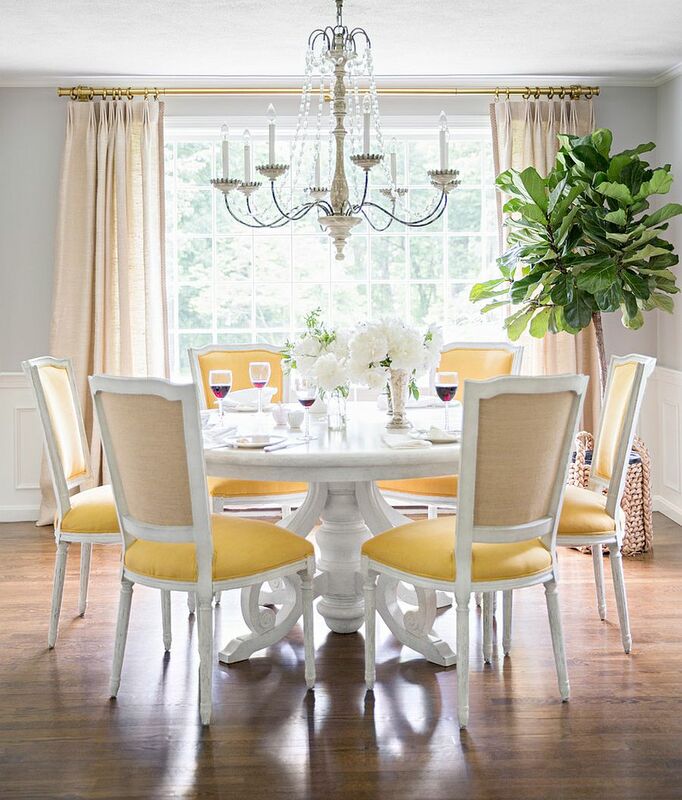 This is highlighted by the popularity of yellow and gray bedrooms among Decoist readers, and today we take this elegant color duo into the dining room as we showcase 20 of the very best that embrace this classy combo. 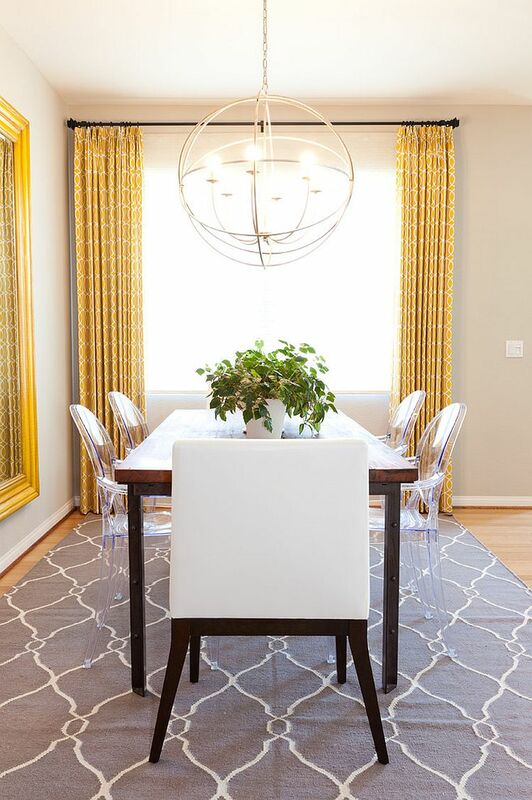 Gray in the dining room is ideal for creating a relaxing, sophisticated and hip backdrop that allows an easy switch between accent hues without much fuss. 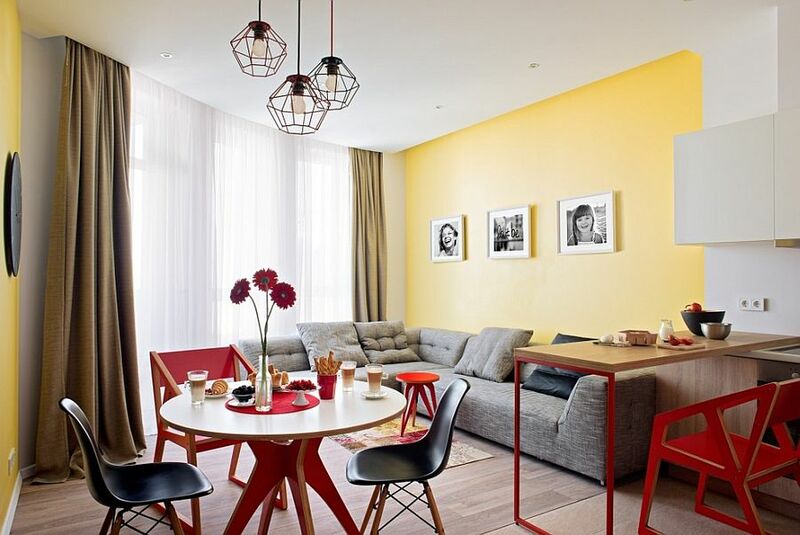 Since the color works with almost any style, theme and secondary hue, it is ideal for those who are not confident about their decorating skills. 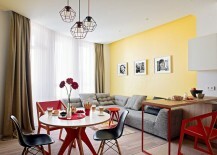 Combine it with yellow and you have cheerful refinement that seems both casual and polished. 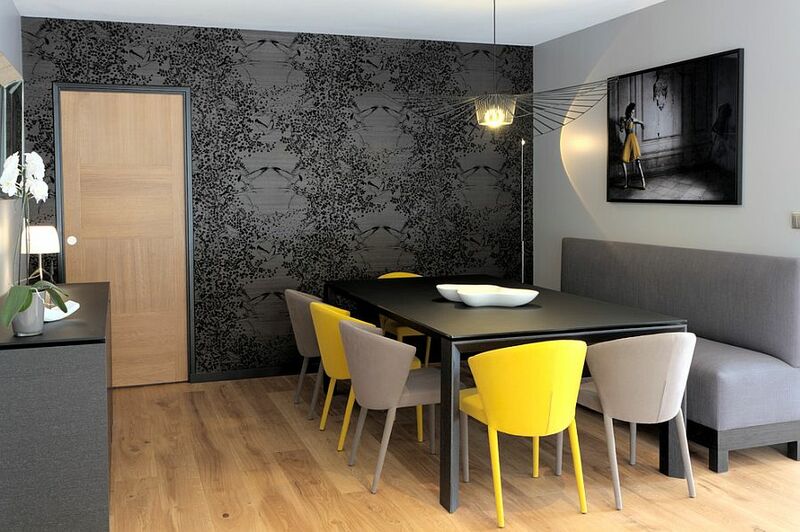 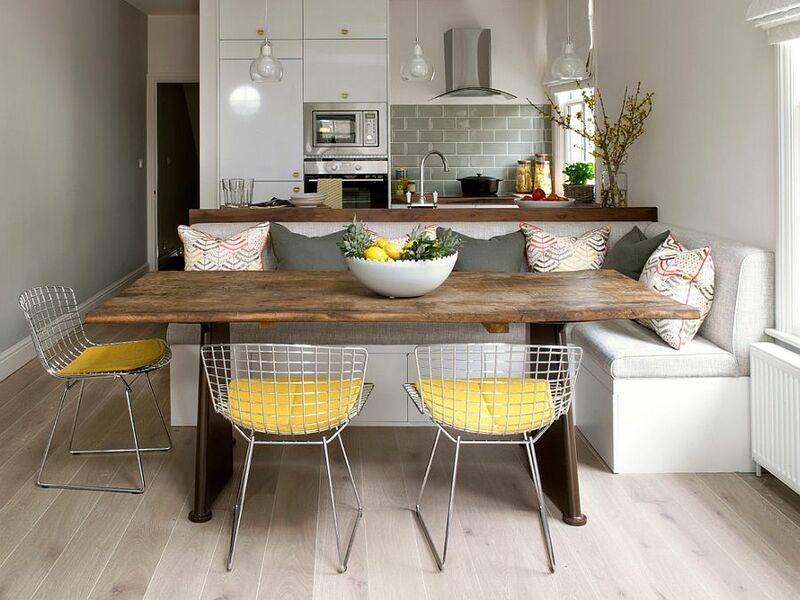 If you already have a dining room in gray, then adding pops of yellow to enliven the room is pretty easy, and often the best way to get this done is by simply using a few striking yellow chairs. 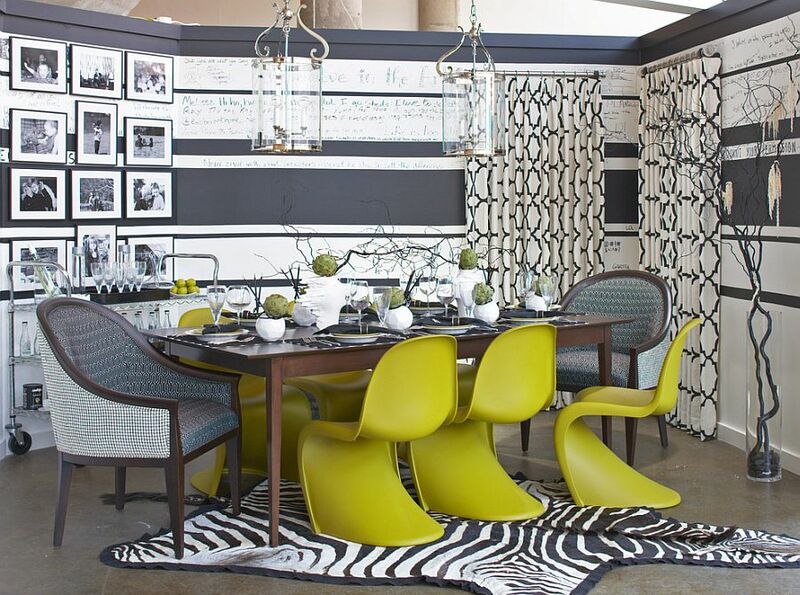 There are plenty of options here that include classics such as the Panton S Chair, the timeless Wishbone Chair or even the simple Eames creations. 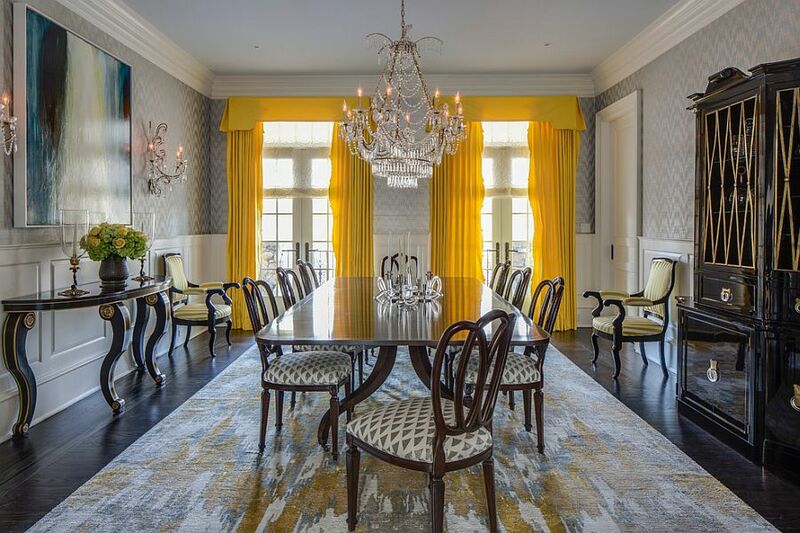 Each of these in yellow can bring the necessary punch to the dining room, and by simply using a few yellow vases or even wall art, it is easy to usher yellow goodness into a dining room that is all about gray. 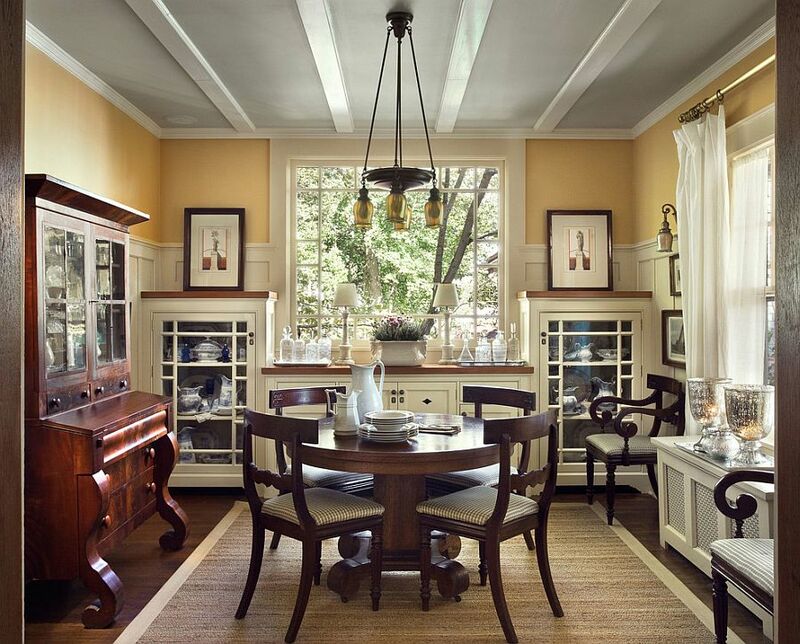 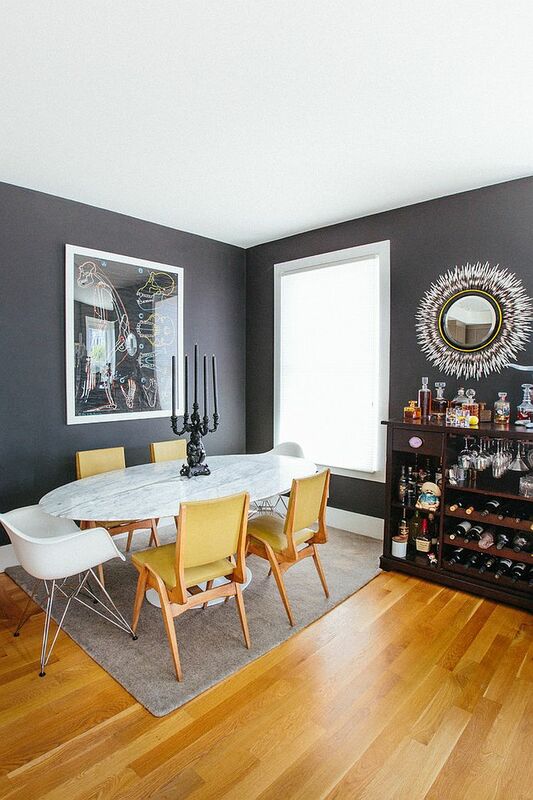 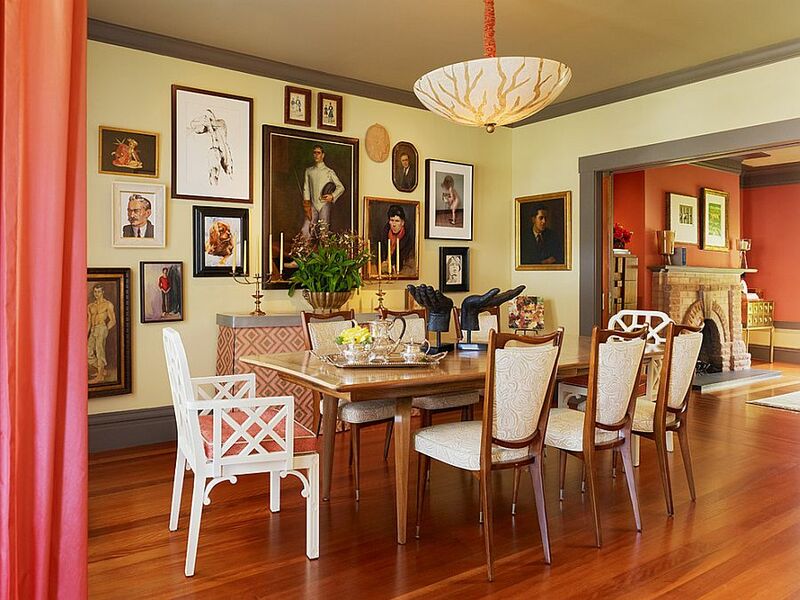 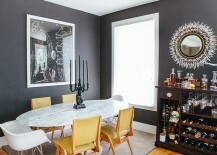 Before choosing a shade of gray for your dining room, think of things beyond the hue you absolutely loved the last time you saw the picture of a lovely home. 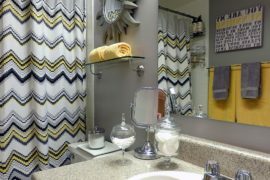 Those living in a rainy climate or having to face long, harsh winters each year should preferably stay away from the really dark shades of gray. 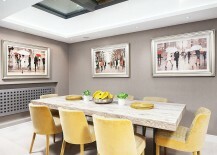 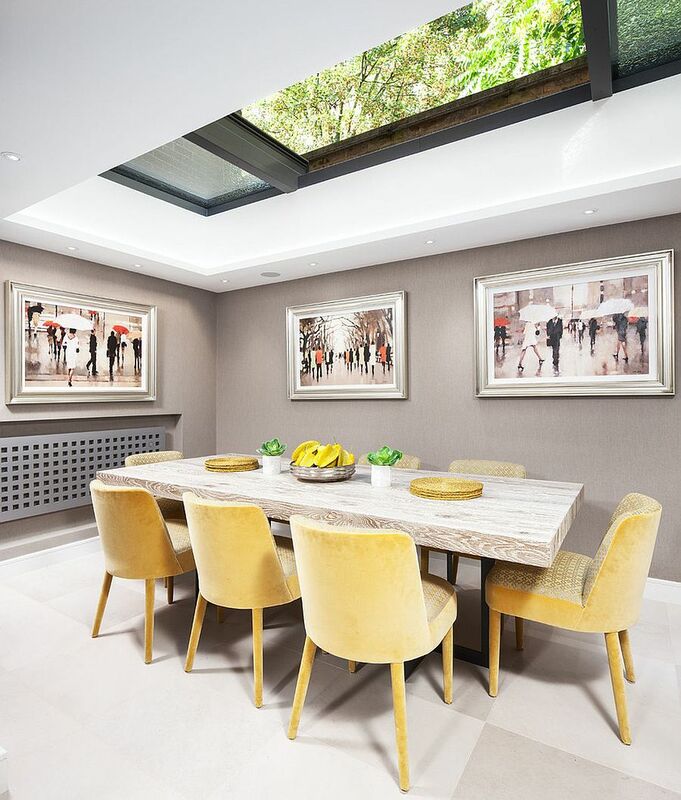 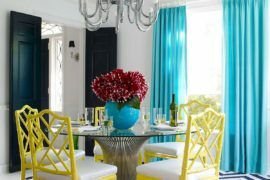 But you can combine the lighter tones with exciting and bright pops of vivacious yellow to give the dining room some much needed warmth. 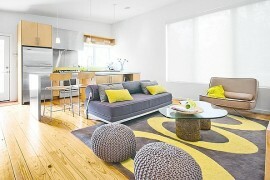 This is a perfect compromise between the best of both worlds! 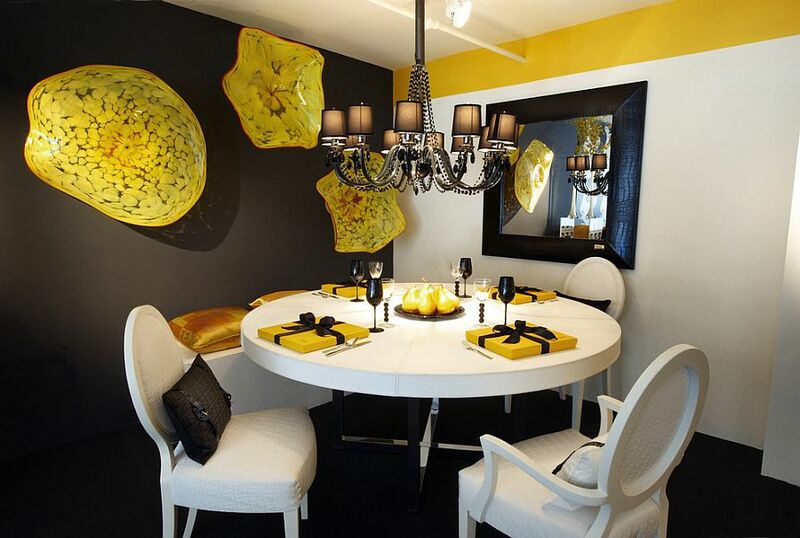 While a gray backdrop coupled with a splash of yellow is the popular way in most dining spaces, take a different approach to this color fusion by opting for a lovely yellow backdrop where gray plays second fiddle to its bolder counterpart. 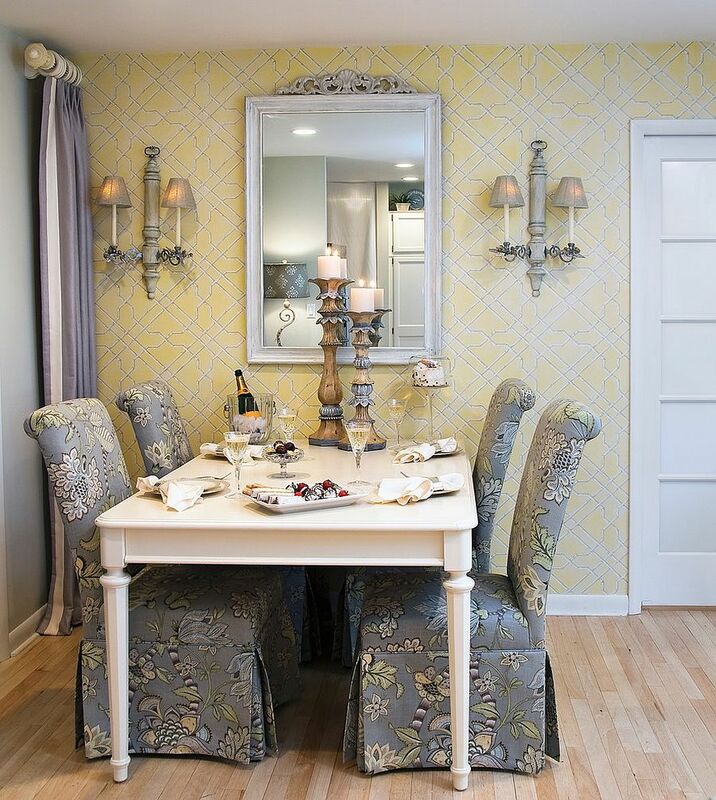 Styles such as farmhouse, Mediterranean, eclectic and transitional are ideally suited for this smart switch that turns yellow into the protagonist in the dining room. 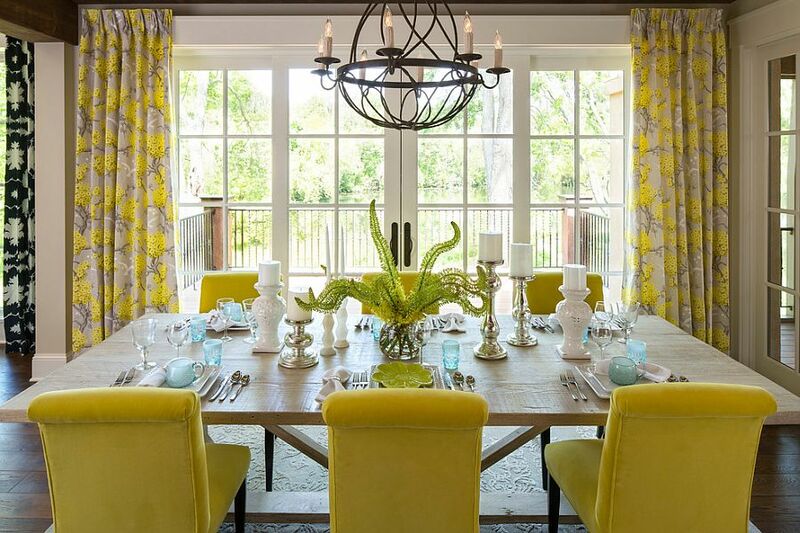 With yellow being the dominant color, pick lighter and mellow shades to ensure that the dining area does not seem a touch too garish. 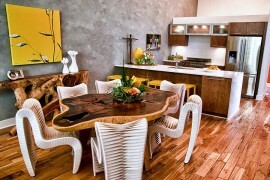 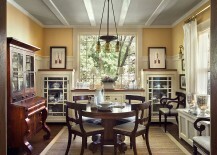 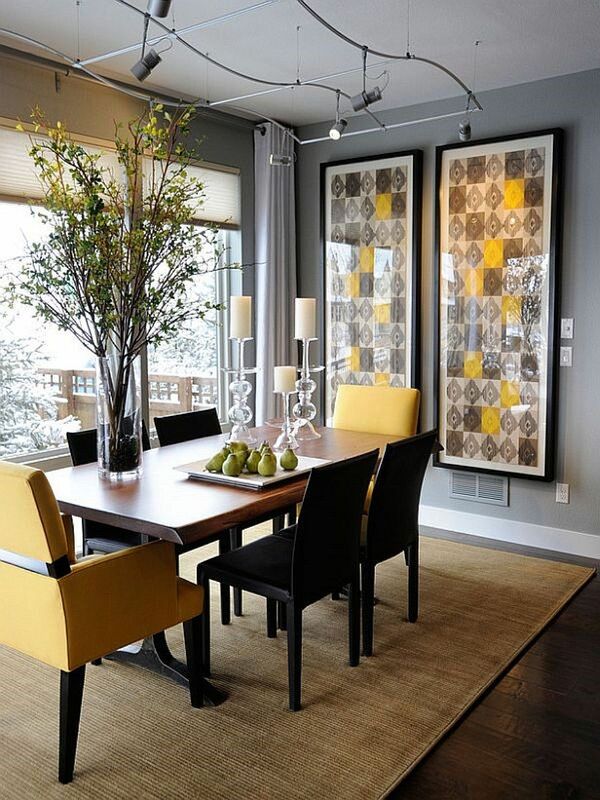 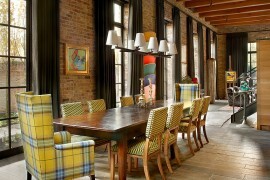 Another snazzy way to bring yellow into the gray dining room is by using drapes and rugs. 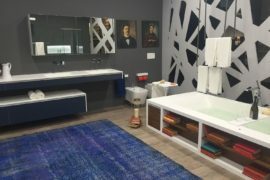 This takes little effort, you would not have to commit to any major makeovers, and if the final result does not seem as appealing as you hoped for, then you can always switch back to the existing look. 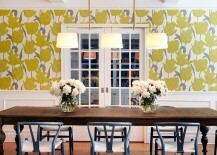 For those with color commitment issues, this is the simplest way forward. 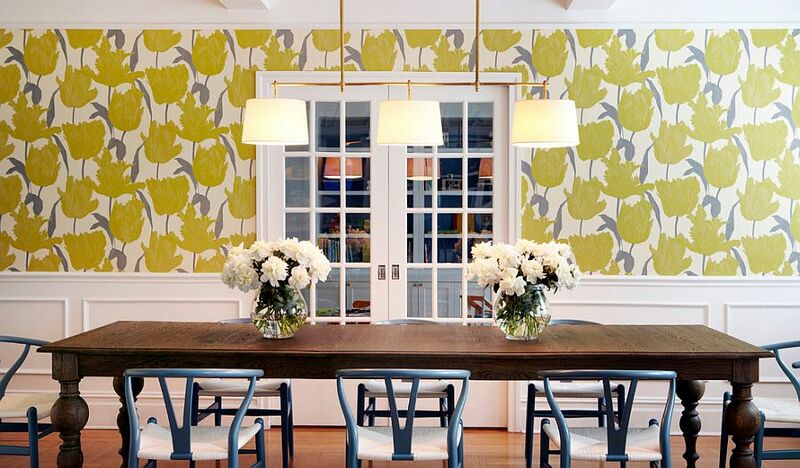 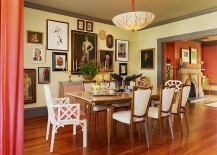 Wallpaper features and wall art can also accomplish a similar effect with ease and elegance.